All sorts of thing special to the Bride and Groom make this an exceptionally special cake! And all adorning the most beautifully moist and delicious 2-tiered fruit cake. 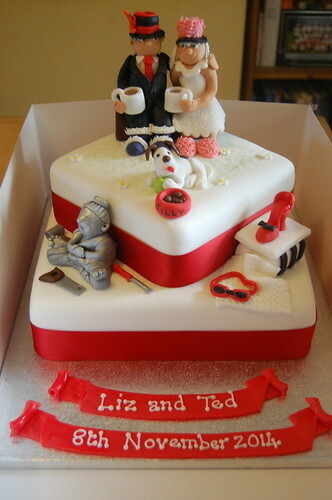 The Quirky Wedding Cake – from £170.